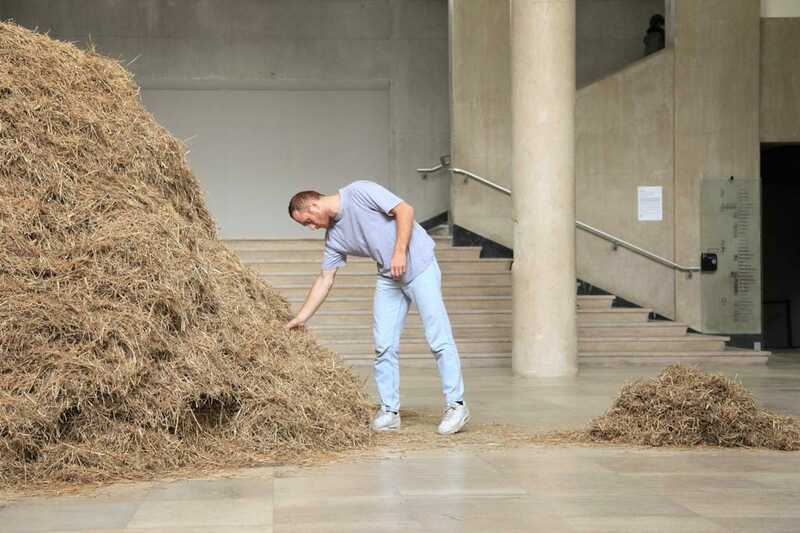 An Italian conceptual artist named Sven Sachsalber set out to discover how long it would take to find a needle in a haystack, literally. Sven's previous performances include eating a poisonous mushroom and spending 24 hours with a cow, but nothing he has done up til now would prove to be as tedious of a task as finding a needle in a haystack. The Italian artist lives in New York City but his needle in a haystack performance took place at the Palais de Tokyo in Paris. The president of the museum hid a single silver needle in a gigantic stack of hay and Sven set up to find it within 24 hours. The entire performance was broadcast on French TV. His approach to finding the needle in the haystack was based on a theory that hay is pliable but a needle is not. One handful at a time, Sven bent the hay a couple times and felt for any resistance. Somehow, Sven actually found the needle at around the 18-hour mark.